Pakistan IT sector has huge potential to grow, regardless of so many constraints in research and development, the industry is still growing rapidly. With increasing numbers of National Incubator centres, future growth in IT sector is expected. Ever Year, PSEB hold IT Export awards and lists the IT companies on basis of higher revenue generation by exporting their products or services to foreign clients. Pakistan Software Export Board IT Export Awards were held at Aiwan-e-Quaid Auditorium, Islamabad last month. The event was attended by Federal Secretary, IT and Telecommunication, Mr Maroof Afzal, PSEB Board members, senior government officials and representative of Pakistan’s IT Industry. 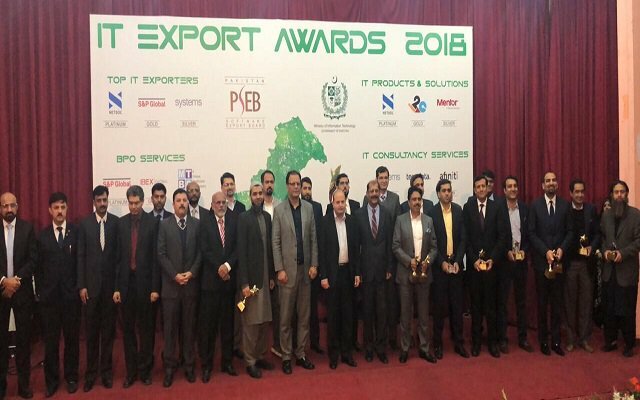 PSEB IT Export Awards is an immensely important yearly event in which Pakistan’s top IT exporters are recognized for their contributions to Pakistan’s economy and therefore to the growth of the IT Industry in Pakistan. These exporters carry the flag of Pakistan high and contribute towards projecting Pakistan’s as a vibrant and dynamic nation brimming with top-notch talent and high-end expertise. It is no coincidence that the winners of this year’s awards are providing services to world’s largest and most reputed companies across the globe. Federal Secretary for IT & Telecommunication, distributed the trophies to the winners. 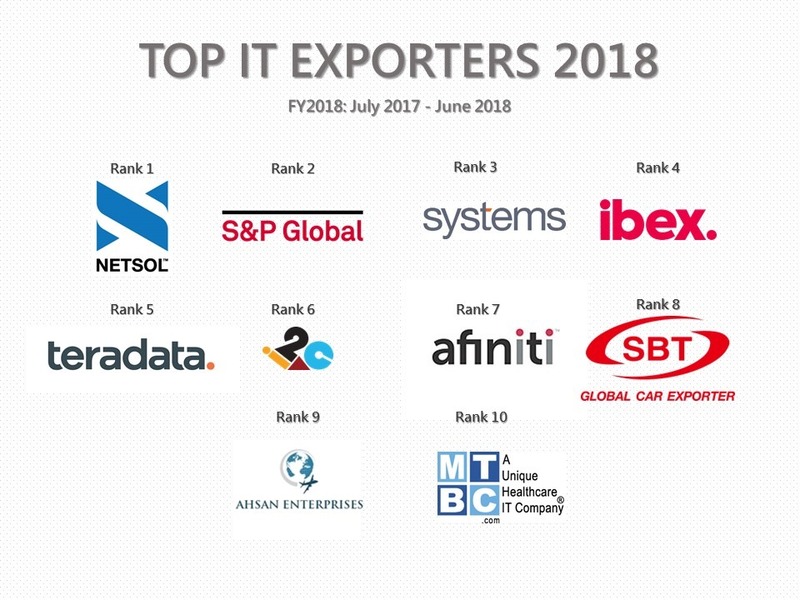 Top IT exporters for 2018 include NetSol Technologies, S&P Global Pakistan and Systems Limited. Top IT Products and Solutions exporters were Netsol Technologies, i2c Pakistan and Mentor Graphics. In IT Consultancy Services export category, winners were Systems Limited, Teradata Global Consulting Pakistan and Afiniti Software Solutions. Business Process Outsourcing export awards went to S&P Global Pakistan, Ibex Global Solutions and MTBC. Call Centre Services awards went to SBT Pakistan, Ahsan Enterprises and Mindbridge. Top IT Startups exporters were Digitronics Labs, Synavos Solutions and 3D Modelling Services.